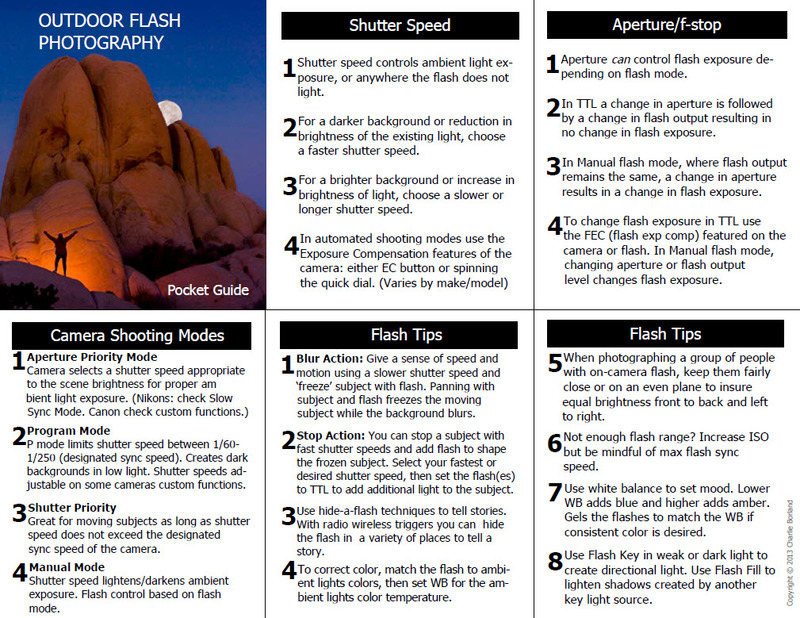 The flash unit is a very sophisticated device, yet very valuable to the outdoor photographer. Sometimes nature just does not provide the best light and using flash can improve it. Whether you need flash in combination with the natural light or need to create light where there isn’t any, this book covers it all. The Nikon SB900 and Canon 580EXII are covered in great detail from the LCD to the buttons so you will understand what they all mean. You will learn how to apply flash for specific results in both intensity and quality. But even more valuable is how to create light that tells stories. 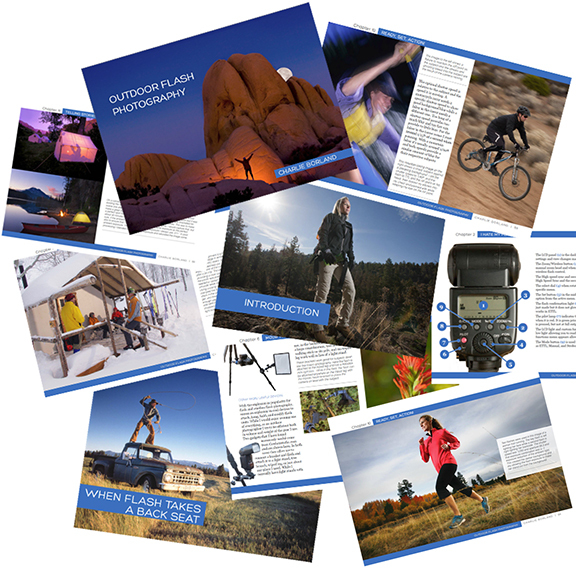 Something that is important to outdoor and adventure photographers. If you have a flash to accompany your DSLR and overwhelmed by all the options, this eBook will set you on the right path. “Your book is very complete and thorough and beautifully illustrated. It even inspired me to bring my flash along the other day when I wanted to take some photos of people biking on one of our local bike trails. Turns out it was a good thing because the trail was very shady and where it wasn’t dark, it had contrasty dappled light. The photos with the fill flash turned out so well that the editor of a local monthly magazine may be using one or two of them in an issue.” -Fran G.
Just wanted to say i bought your e book..because i used to hate flash. Having had your book, and after your advice bought two Yongnuo manual flashes.. I now love flash!! Love it! Now…i can actually now can get the photos i see in my eye..so now i can take the photos i create in my head first! I took this tonight with my best mate 🙂 against a sunset on the beach. Thanks again Charlie, for reigniting my passion. Want to be an affiliate and earn 40%? Click here.